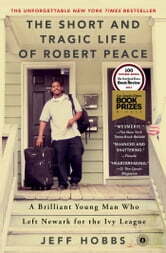 A compelling and honest portrait of Robert’s relationships—with his struggling mother, with his incarcerated father, with his teachers and friends—The Short and Tragic Life of Robert Peace encompasses the most enduring conflicts in America: race, class, drugs, community, imprisonment, education, family, friendship, and love. It’s about the collision of two fiercely insular worlds—the ivy-covered campus of Yale University and the slums of Newark, New Jersey, and the difficulty of going from one to the other and then back again. It’s about trying to live a decent life in America. But most all this “fresh, compelling” (The Washington Post) story is about the tragic life of one singular brilliant young man. His end, a violent one, is heartbreaking and powerful and “a haunting American tragedy for our times” (Entertainment Weekly).